It’s hard to believe that 2013 has closed and we are already a few days into the new year. 2013 was such a thrilling year for us – we went into beta, got some awesome feedback from our talented artisans, and eventually formally launched the site. We met incredible makers who changed us, literally and figuratively. We connected with some of the coolest bloggers out there who helped give us exposure. We developed some great relationships with local Milwaukee and Wisconsin businesses. And in the last quarter of 2013, we experienced the biggest boom we could have ever expected with the site. We are most thankful for the buyers and sellers who took a chance with us. Who wanted to help a small business grow, and strongly believe in the American handmade movement. Without your support we wouldn’t be who we are today. That’s the most priceless gift we could have asked for. We have so much to be grateful for, but for us this is just the beginning. Peering into 2014 all we can guess is that our relationships will continue to grow with you and new aftcra members. Thank you for supporting us. We truly appreciate it. Congrats! 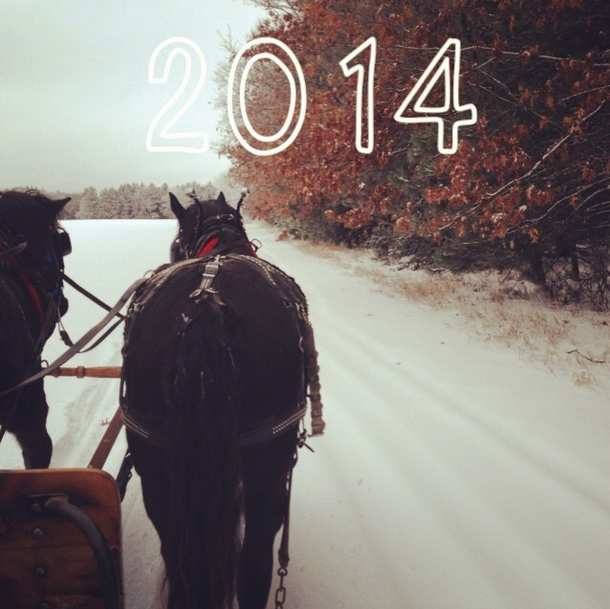 Here’s to a strong 2014!